In the Warring States Period, after moving to Shinju from Ehigo to Echigo and cleansing, I started making sake from the late Edo period. Over 170 years since continuing to work on sake brewing, in a privileged environment, with excellent liquor rice and clean water as raw materials, using the techniques and tools inherited, the warehouses become all-rounded so that the forerunners' I am doing sake making. 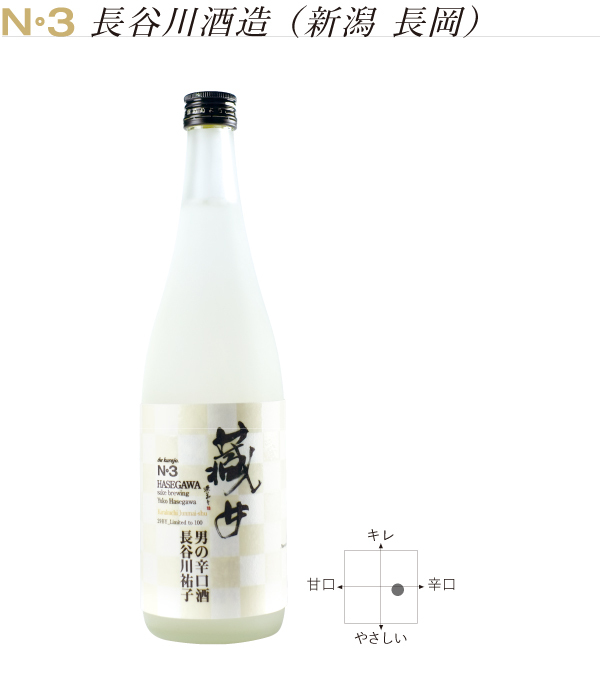 Also, it is the female managing director Hasegawa, the sake brewer is Mr. Shoro's brother, and his daughter Yuko performs his sales department, keeping history and taste of sake brewery.